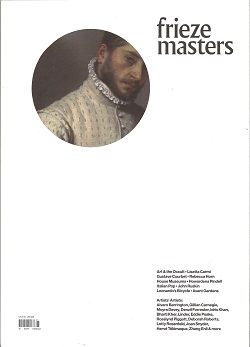 FRIEZE MASTERS An annual magazine that looks at art from different periods through a contemporary lens. Its lively and readable approach will appeal to anyone with an interest in art. You will always receive the current issue (as displayed), unless otherwise stated/notified. A subscription will always start with the next issue.